And it only took nine days. It may seem futuristic, but 3D printing is one of the hottest tech trends making its way into your home. From printing houses to manufacturing intricate ceramics, there will likely come a time when many of the things we use and live in are built with a 3D printer. Just recently, a Canadian team used the largest 3D printer in North America to build the world’s first 3D printed camper. Made out of hundreds of feet of plastic filament, the full-size camper took a total of nine days to print. While not as big as some of the giant RVs you see on the road, it also isn’t tiny, measuring 13 feet long, six feet wide, and about 600 pounds. As if printing the world’s first camper wasn’t already a cool feat, the camper also broke a world record as the largest indoor, single-piece 3D printed object in the world. 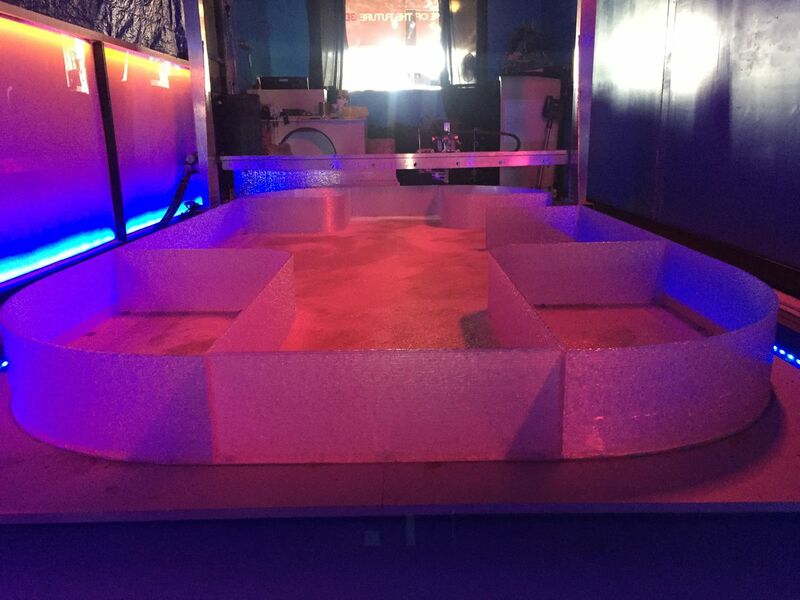 Executed by a group of 3D-printer experts at Create Cafe in Saskatoon, Saskatchewan, the large job took over 230 hours to build on a custom ErectorBot 3D printer. And while some might assume the 3D printed camper is just a novelty, there are advantages to 3D printing over traditional manufacturing. The seamless trailer won’t leak, doesn’t require a chassis, and the sky is the limit for the type of design that could be printed. 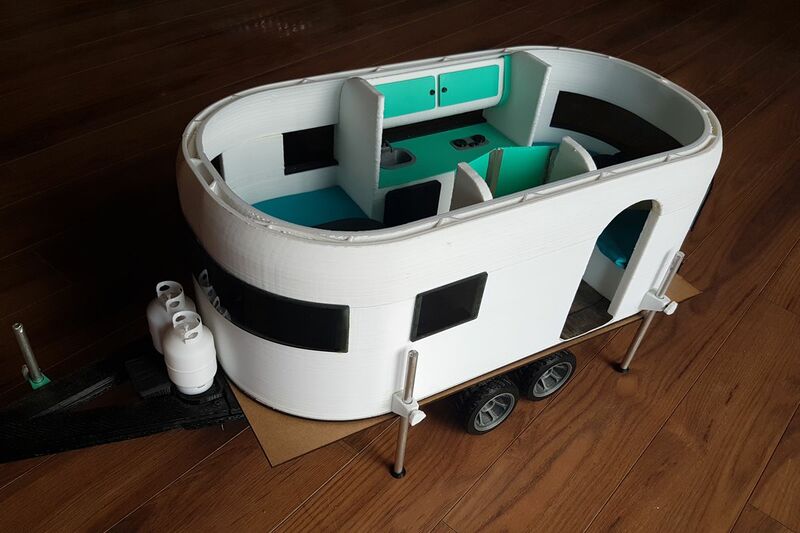 This camper prototype is currently being outfitted with appliances, electronics, and windows. Creator Randy Janes—owner of Wave of the Future 3D—told Saskatoon’s local news station that he’s hopeful that the first batch of 3D-printed campers will be for sale by the end of the year. 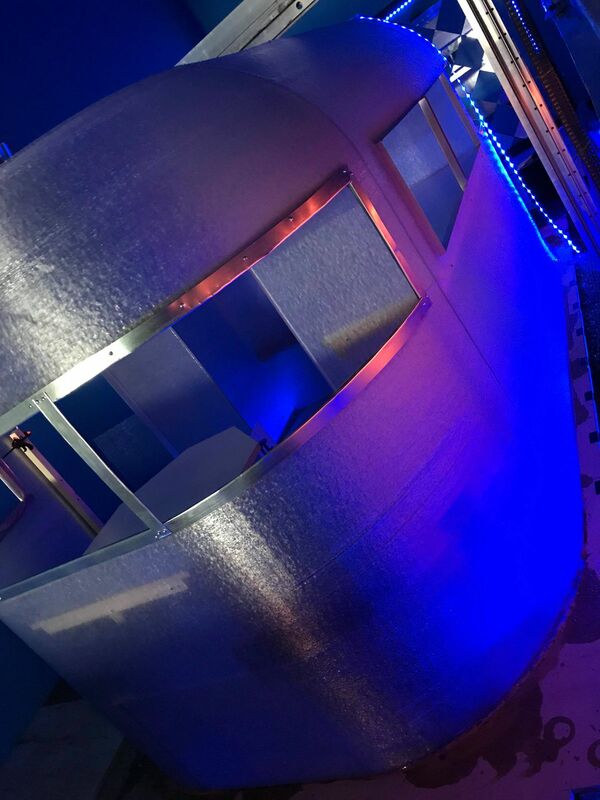 The current model, called “The Wave,” features three covered holes in the floor so it can convert into an ice-fishing hut, but subsequent models could also be larger or fit in truck beds. 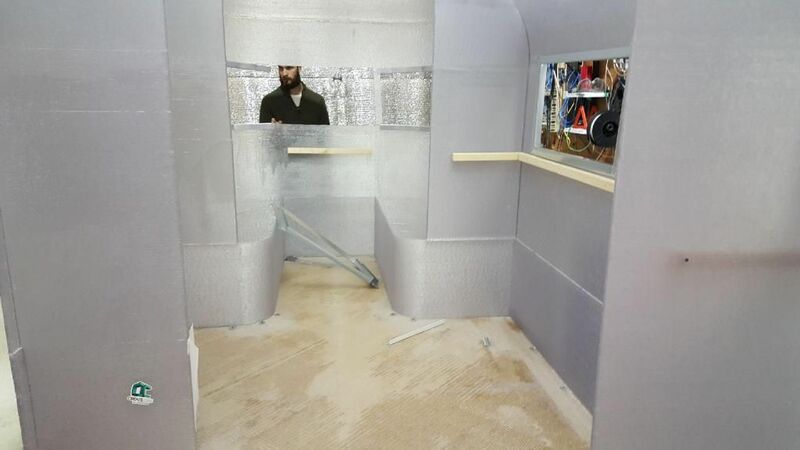 Take a look below at the first photos of the printed camper. 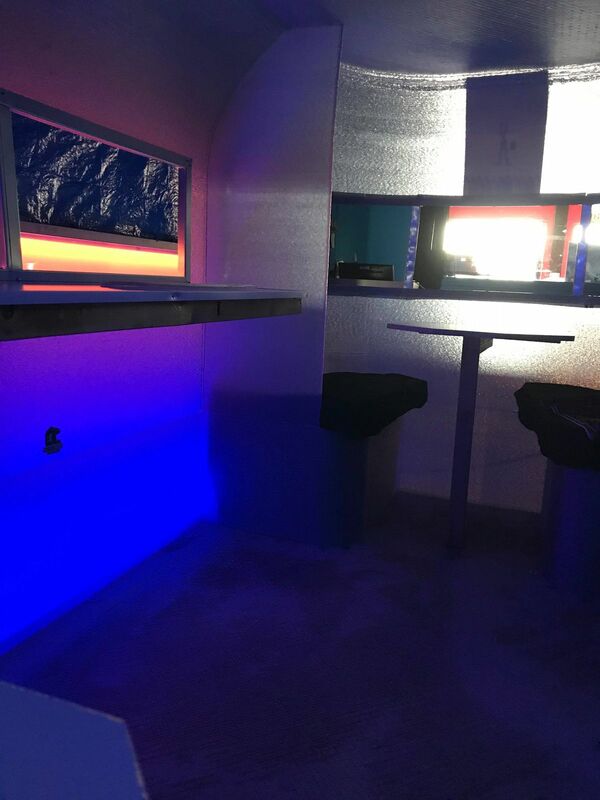 We’re patiently awaiting better photos and we’ll also do another story when the camper is outfitted, so stay tuned!